As introduced by Kearney Sen. John Lowe, LB921 would exempt anyone employed in the construction of a farm building and doing work for which a license otherwise would be required if they are unloading, hauling or moving electrical wiring or components or if they are under the direct supervision of a licensed contractor or electrician. A pending General Affairs Committee amendment would replace the bill and instead create an exception in current supervision requirements. An apprentice electrician currently is prohibited from installing electrical wiring unless under the direct supervision of a licensee at a ratio of no more than three apprentices to one licensee. The amendment would allow a licensee to employ or supervise apprentice electricians at a ratio of no more than 5 to 1 when the apprentices are installing conduit runs or pulling wire when constructing a farm installation. Lowe said the exception had been requested by Schuyler-based QC Supply—the general contractor overseeing construction of hundreds of barns that will house chickens destined for Costco’s new processing plant near Fremont. LB921 would assist QC Supply and boost economic development in rural areas by encouraging other companies planning similar projects to locate in Nebraska, he said. “LB921 is a bill that can bring Nebraska jobs, encourage outside investment and allow our farmers a steady secondary income for years,” Lowe said. The amendment also would prohibit the state from requiring a license for any person engaged in general labor, including digging trenches, unloading, hauling or moving electrical wiring or wiring components. The bill defines a farm installation as any installation that is not open to the general public or used for education and research and is used primarily for a farm purpose such as the production or storage of crops, dairy or livestock. Sen. Tyson Larson of O’Neill supported the amendment. He said the exception to the supervision requirement would not compromise safety because it would apply only to workers who are pulling wires or installing conduit, not those working with live wires. “What this is truly is economic development, making us competitive compared to other states and setting Nebraska up to get projects such as this in the future,” Larson said. 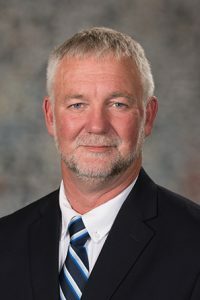 Sen. Mark Kolterman of Seward also supported the amendment, saying that it would remove a barrier to economic development in the state’s rural communities, which face a labor shortage. Omaha Sen. Mike McDonnell opposed the amendment and read a letter he received from the state electrical board, which indicated that the bill creates “serious safety concerns.” McDonnell said he and the bill’s opponents are not opposed to Costco and other businesses coming to Nebraska to make money. Sen. Dan Quick of Grand Island agreed, saying that the state’s electrical codes were created to protect workers, structures and the people or livestock inside the structures. If wiring is not pulled properly, he said, it can be stripped, which can cause arc flashes or fires once the wiring is energized. Bellevue Sen. Carol Blood also opposed the amendment, saying that it would not encourage economic development. Costco already chose to build its processing plant in Nebraska, she said, and QC Supply has said it plans to hire out-of-state workers to save on labor costs. “If you’re voting for this because you think you’re removing hurdles so people can work, that is not true,” she said. Omaha Sen. Bob Krist agreed that the amendment would compromise public safety and said that it would carve out an exception meant to benefit a single company. He filed a motion to bracket the bill, which effectively would end debate on the proposal this session. The motion failed on a 15-23 vote. After three hours of debate, the Legislature moved to another item on the agenda. Per a practice implemented last year by Speaker Jim Scheer, the sponsor of a bill that is facing a potential filibuster must demonstrate sufficient support for a cloture motion before the measure will be scheduled for additional debate.